Did you know that the skin is the largest organ in your body? It purifies your system and eliminates waste and absorbs anything it comes into contact with. That can be both a good or scary thing. Considering it can absorb good things like vitamins from the sun but, it can also absorb a lot of chemicals and toxins that you find in your everyday products. Toxins that can be detrimental to your health. My skin is fairly clear and a lot of people ask me what I do to keep it clear and vibrant. In all honesty, umm, I don’t do much. For the most part, I have skin that co-operates. One thing though, I absolutely refuse to use any harsh chemicals on my skin, for one–as aforementioned, your skin is the largest organ of your body and everything you put on your skin is absorbed into your body. Which eventually ends up in your bloodstream. Second, the chemicals dry out my face so badly that my face freaks out and over produces oil and I break out. And I simply don’t want to look like a teenage kid. Third, I don’t want to harm this planet and want to do my part to preserve it, even if it is in a small way. I use all-natural, organic concoctions to cleanse my face and body. Whether store-bought or homemade, if it’s natural, organic and chemical-free, it’s what I prefer to use. 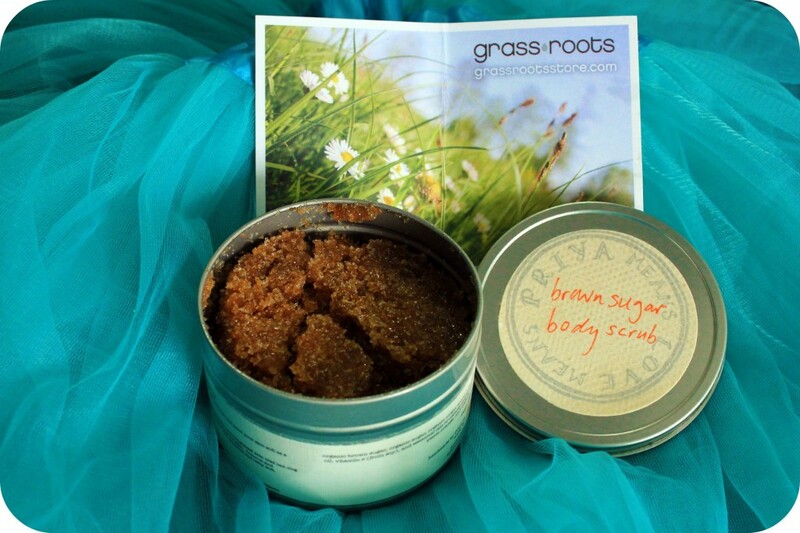 So, when Grassroots sent me a Brown Sugar Body Scrub (one of my fave things to use) I was elated and couldn’t wait to try it out. Grassroots is a Canadian company based in Toronto and you may recognize them as one of our fab sponsors for the TGCBB this past July. They carry eco-friendly products, natural products for your home, the outdoors, clothing, bedding, toys and something for everybody. They also carry a fabulous line for Mama and Baby. 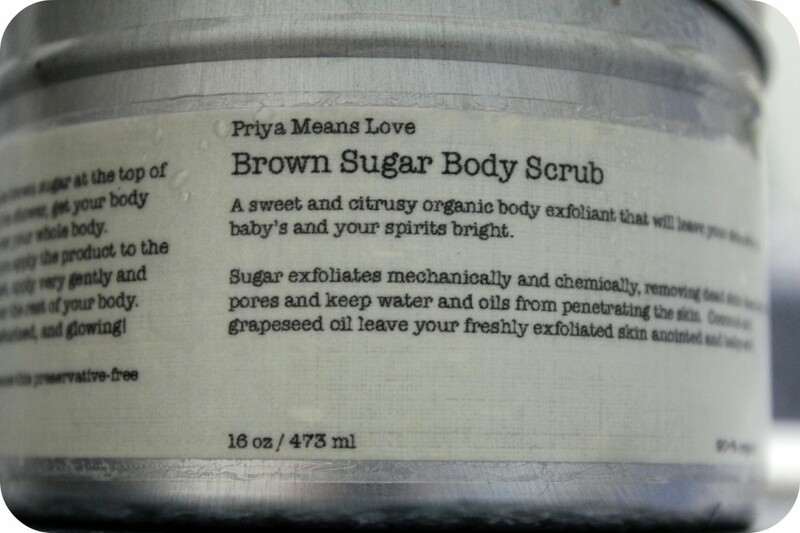 Priya Means Love is a local Toronto manufacturer that produces handmade natural body care products. 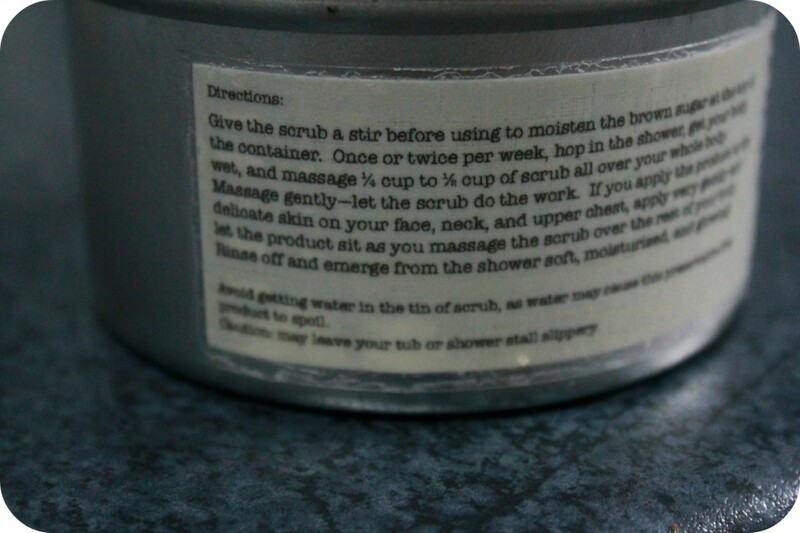 The scrub comes in a large tin and before you even open it you can smell it’s divinity. It smells sweet and citrusy and unbelievably delicious enough to eat. 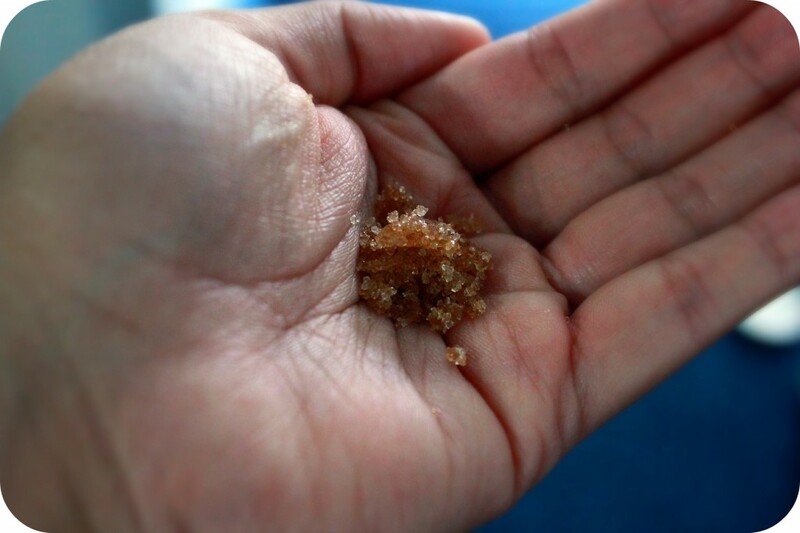 The sugar acts as a natural exfoliant and the other ingredients only help make it an amazing body care product. Priya Means Love makes a wide array of body care products such as Lavender Mud Hair Cleanser, Palmarossa Bug Spray, Cedar Shea Hair Texturizer, Sweet Mouth Mint Drops and Herbal Lip Therapy. All which are natural, organic, handmade, made from mostly recycled materials and are not tested on animals. They are also made from fair trade materials so you can rest easy that it is a product with integrity. 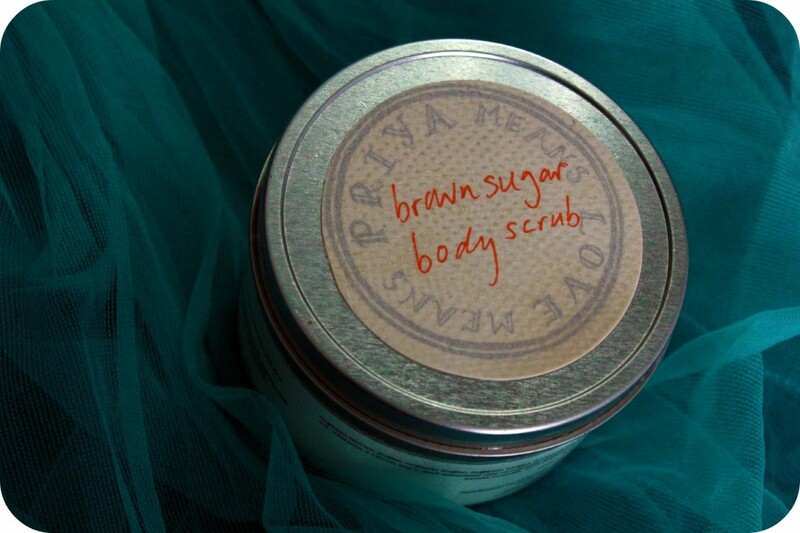 The Brown Sugar Body Scrub contains organic brown sugar, organic sugar, organic virgin coconut oil, grapeseed oil, vitamin E (from soy) and essential oils from organic grapefruit, organic sweet orange and organic mandarin. Sugar exfoliates mechanically and chemically, removing dead skin that can clog pores and keep water and oils from penetrating the skin. Coconut and grapeseed oil leave your freshly exfoliated skin feeling anointed and baby-soft. I was super excited to get in the shower and try it out. I opened it and the smell was amazing. You need to mix the scrub so that the oils moisten the top layer and use about 1/4 or 1/2 cup of the scrub. I used about 1/4 cup and hopped in the shower and moistened my body and began to apply the scrub onto my body, gently massaging with a bit of pressure to exfoliate. I also used the scrub on my neck, chest and face, I did apply lighter pressure here and I let the scrub sit while I did the rest of my body. Also, if you are using it on your face, be sure to avoid the eye area and to not scrub vigorously. 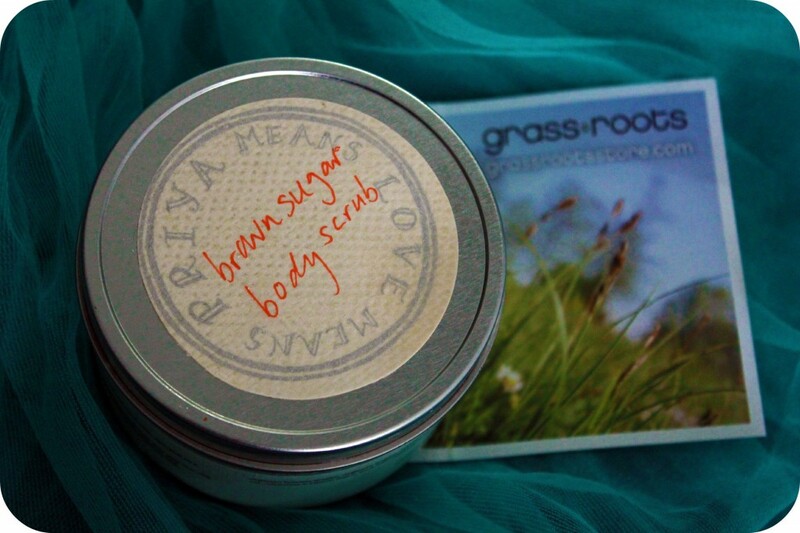 Other than that, this scrub is super easy and revitalizing! I rinsed the scrub off and my skin was supple, soft and moisturized. You can feel the oils at work and my skin just felt amazing. Not to mention my body was fully and evenly exfoliated, you can immediately feel a difference and I didn’t even have to use a moisturizer after. The scent on your skin is citrusy, sweet and almost softly floral. It is one of the best scrubs I’ve tried so far and I will definitely be making a trip to Grassroots when I am in town the next two months. 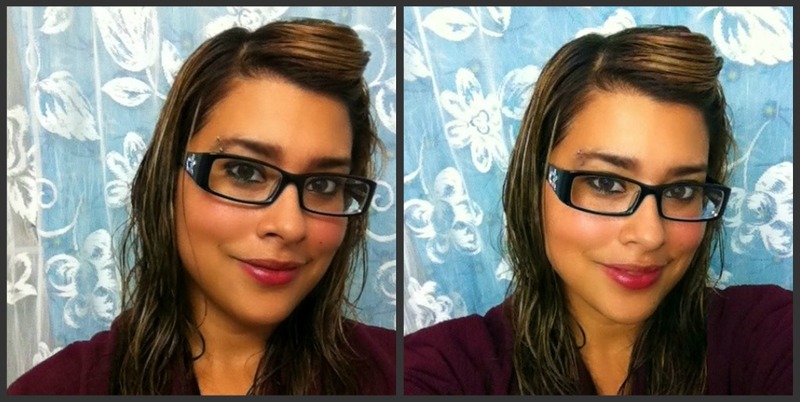 Pictured above is me after getting out of the shower and slapping on some eyeliner, I love how the scrub made me rosy! One thing to watch out for is that it may leave your tub a bit slippery, that goes with pretty much any natural product I’ve made or tried though so just watch your step. The excess scrub dissolves quite easily and clean up is very simple. Other than that, you are good to go. It feels great to be exfoliated, smelling yummy and knowing that you’ve helped the planet just a little bit. Not to mention, your body will thank you for it too. What type of skin do you have and what do you do for skin care? Do you find your skin tends to have reactions to certain products and have you ever thought that it may be due to some of the chemicals in the products themselves? 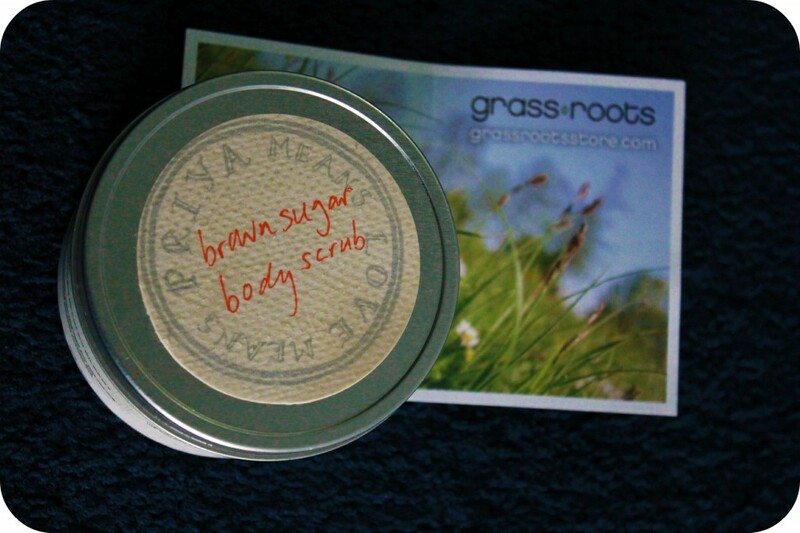 EDIT: Grassroots has since closed in Toronto and this scrub is no longer available at their store. You can find Priya’s merchandise on Etsy, HERE. This is great timing for me to learn about this. I recently cut out chemical-filled body soap and have switch to natural soap. But I am looking to increase the breadth of naturaly products I use. Since starting my DETOX I've become totally aware of the products I am exposed to everyday. Can't wait to try this out sometime. There are so many great products out there and Grassroots carries amazing ones. During the summer months it's great to use natural & organic sunscreen. Toxins on absorbed through our skin and they are also bleaching our coral reefs! It's also best to use safe bug spray too. There are so many awesome masks and exfoliants you can make at home too. I love making my own! And Gabs loves it too. People are unaware of the many benefits things in your own pantry hold! PS. You do have great skin and you're super pretty! This looks like a great products. Kudos to you for using only natural products on your skin too! Love the blog. You certainly have a glow about you !